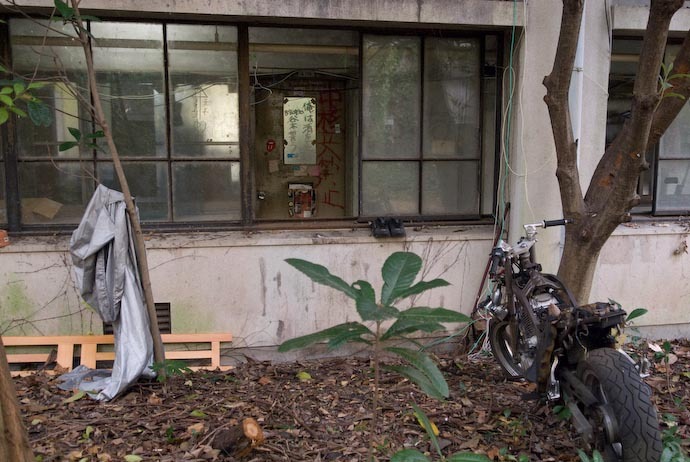 As I wrote in January, one of the most forsaken places I've ever seen is Kyoto University's Kumano Dorm (京都大学の熊野寮). It's right here in the city, but once you enter the grounds, it feels as if you're visiting the long-abandoned remains of a war-ravaged society. Wandering the grounds, only the word “forsaken” seems to do justice to the ambiance. It's otherworldly eerie. Since my visit last fall when I took these pictures, I've learned a bit about why it is the way it is from my friend Shimada-san. During the student unrest common around the world in the late 60s and early 70s, radical leftist students took over the dorm, requiring the government to reclaim it by force. As part of the resolution, it was decided that the students would administer all aspects of the dorm's existence, receiving from the university only minimal financial support. Without adult supervision, you really can't expect a bunch of college kids to administer a hot-dog stand for a long weekend, much less expect revolving generations of kids to administer a complex of buildings for 35+ years. I'm sure that over the years there have been students who felt a mature sense of responsibility for themselves and their actions, but for the most part it seems that if a resident broke something (accidentally or purposefully), there were no repercussions, and no authority to come along and fix it. Forsaken. 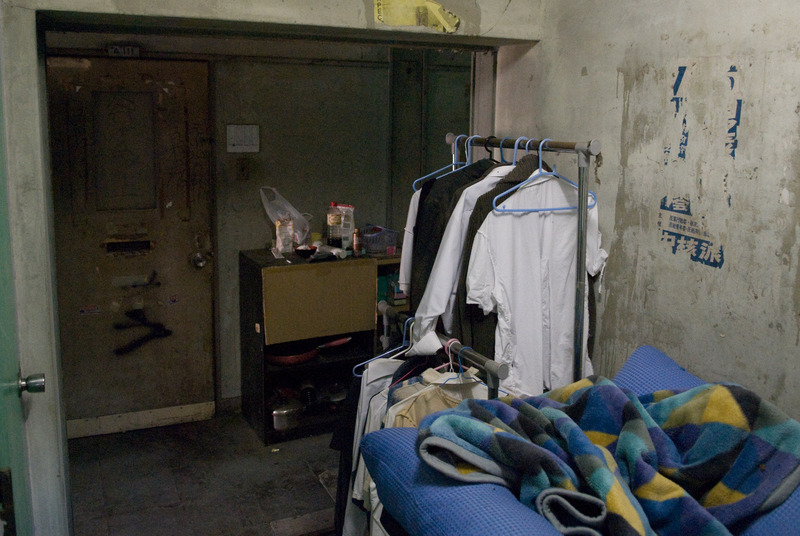 From the road, the place has the drab and depressing look of a prison, a look common to educational institutions in Japan (particularly high schools). 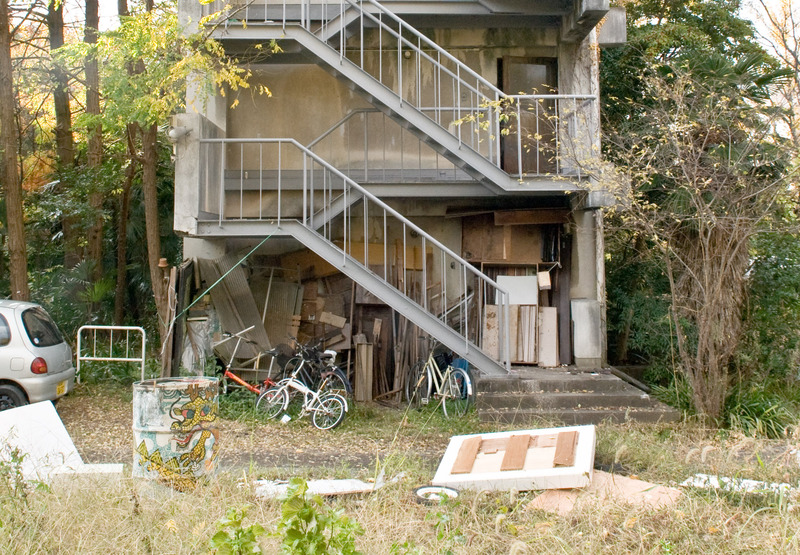 From the entrance, aside from a huge pile of abandoned appliances stacked up against the edge of one building (left side in the picture above), there's little to indicate the despair that awaits within. 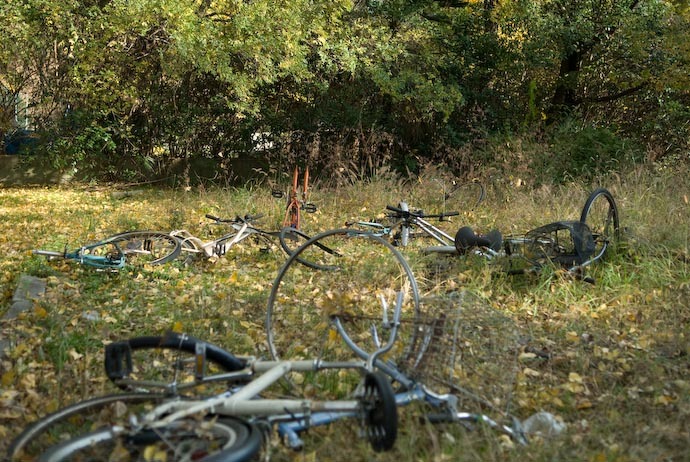 In fact, the large number of bicycles neatly parked in the large front area hints at the bustle of life inside. You don't have to wander far before things start looking down. Beside the abandoned car is a massive tangled pile of abandoned bicycles. It's well covered with weeds, but being right against the front fence, is visible from the street. 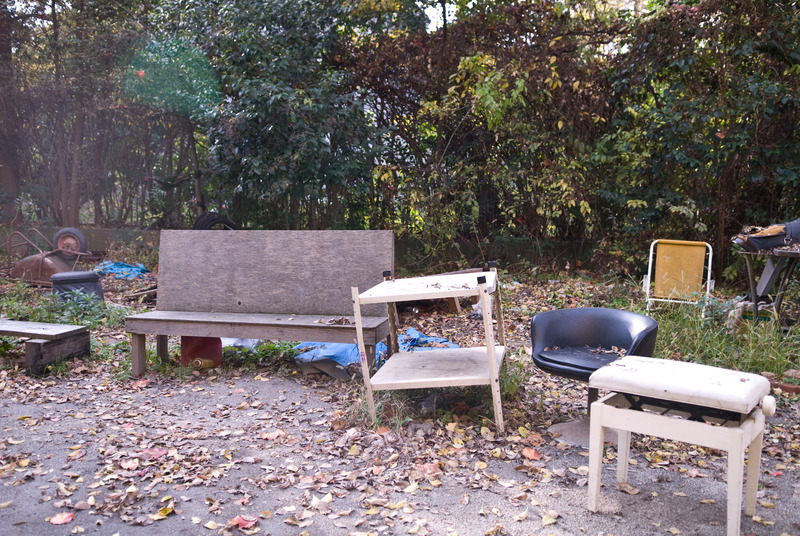 The vegetation had been cleared from one area to make way for a large skateboarding ramp, with the furniture in the photo above being where the spectators would sit. 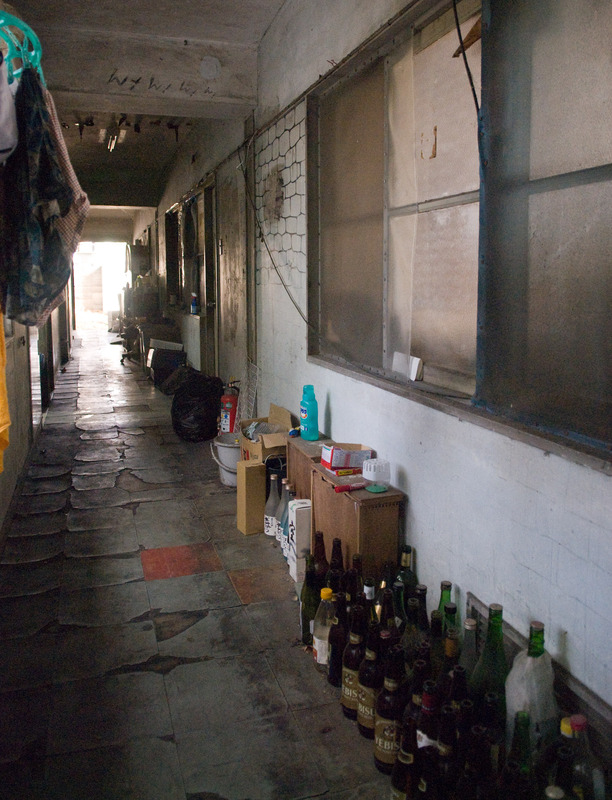 The photo above shows the far end of a long, thin dorm building, the same one mentioned earlier as being visible from the entrance with the stacks of abandoned appliances. 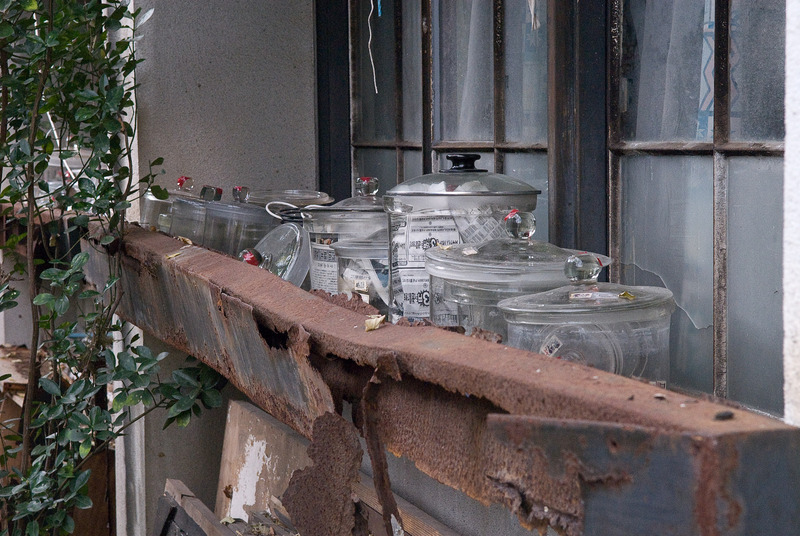 At the bottom of the stairs, behind a tall and thick wall of junk, is the first-floor exit. 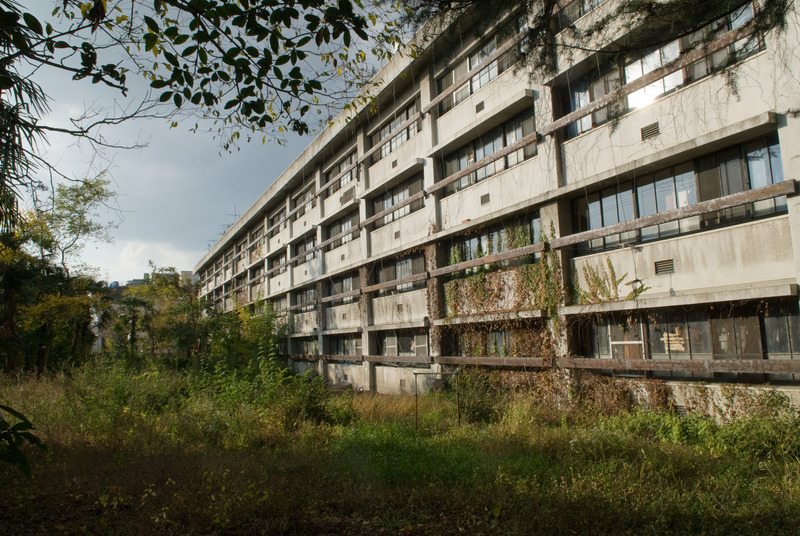 All the buildings seemed to be designed the same way, with the hallway servicing the dorm rooms being technically inside the building, but with huge windows (may broken) so that it feels as if the hallway is half outside. On the door's window, it looks to the pledge of some guy named Tanimoto to give up alcohol (dated Sep 30, 1988). Looking in the hallway window, down the hall, reveals more gloom and an impressive collection of large beer bottles. 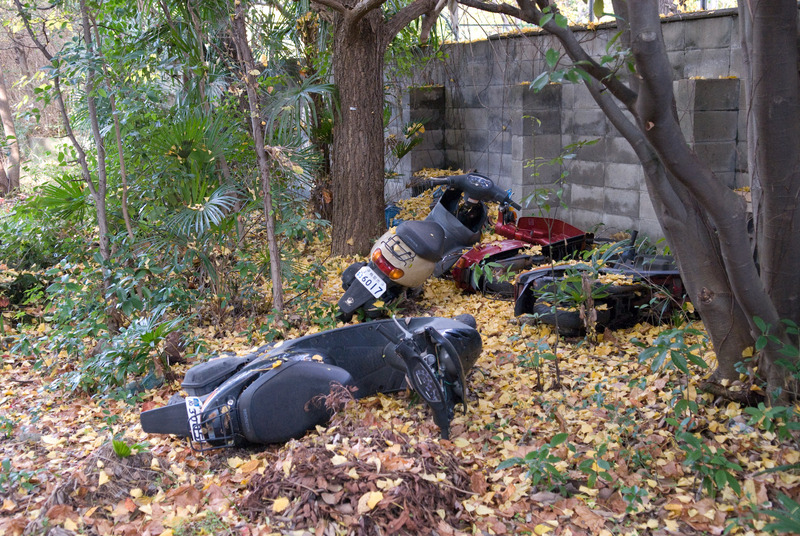 Behind the rear-most building is a “lawn” of sorts, closer to a jungle. Looking at the large version of the picture above, you can see a bazillion gossamer wires draping from the roof, placed there as students placed their own antenna on the roof and wired it to their room. The dorm got hot water in the communal showers only in 1991, and apparently it broke down quickly thereafter, so something like a TV antenna must be a luxury. I didn't see a single person the whole time I was there. As I said, it was eerie, to say the least. Most of the time I was somewhat on edge, half expecting that at any moment a pack of disfigured, marauding, wild dogs would come flying around the corner to eat my face. Twice while I was there, the ghostly silence was rudely interrupted by announcements over a hidden (but very loud) public-address system, an elderly man's voice calling such-and-such a person for a phone call. Apparently, the rooms have no phones, but there's a phone (and an old man) somewhere. 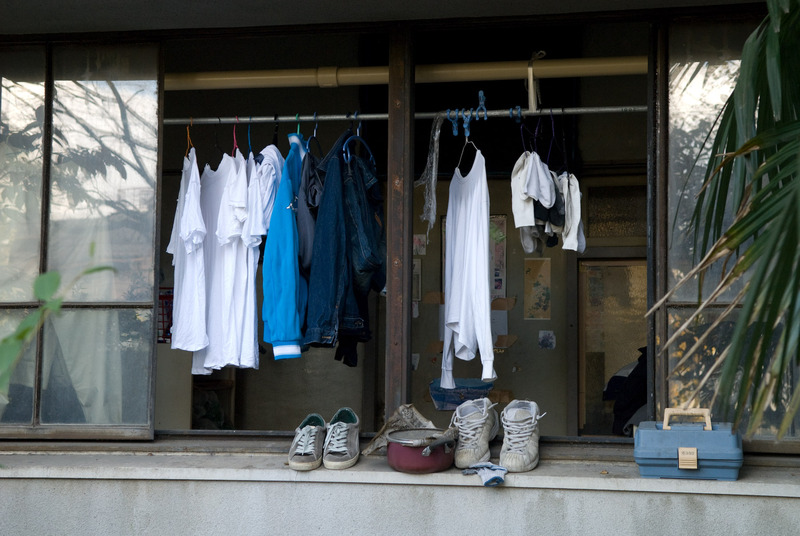 Shimada-san found a site with some pictures from 2002 of the dorm. It's all in Japanese, but just click on the list of links at the bottom and you'll see some small but interesting pictures. In particular, page 6 shows an amazing pile of dust with a slight layer of telephone underneath. 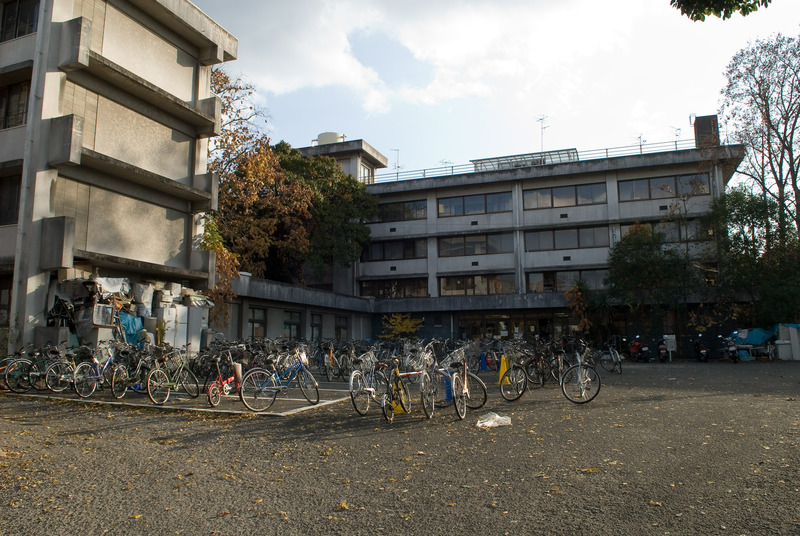 Recently I've noticed what appears from the outside to be a substantially worse version of this dorm, Kyoto University's Yoshida Dorm. 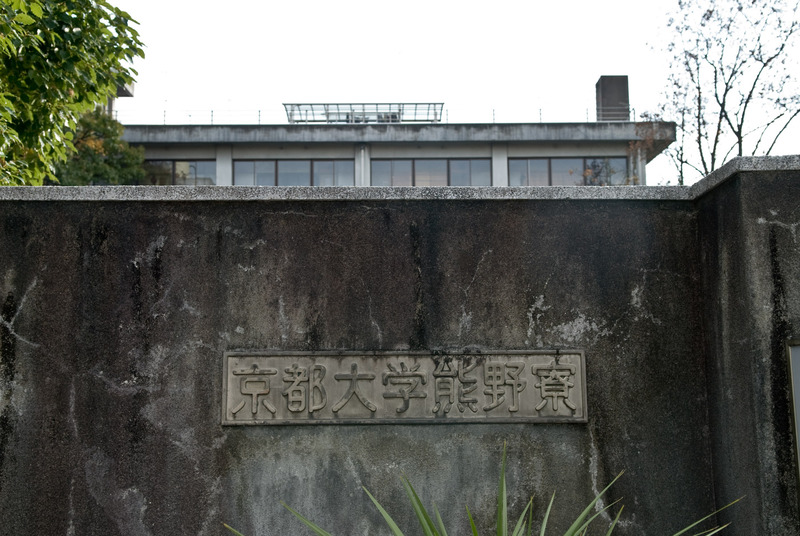 It's apparently much older (dating back perhaps 100 years, to the Meiji Era), but unlike this dorm I often see signs of life as I drive by. It's on my list to visit. Looks like the perfect cleanup job for a company called GOT JUNK??? Number to call is 1-800-GOT-JUNK!!!! this is so fascinating. something about abandoned stuff always is. I’m a graduate student living in the Kumano dormitory. It’s very messy and dirty as you said because most of us don’t clean up out rooms except me or a few of students. Additionally it’s so insecure that students in dormitory are often stolen their money or notebook PC. 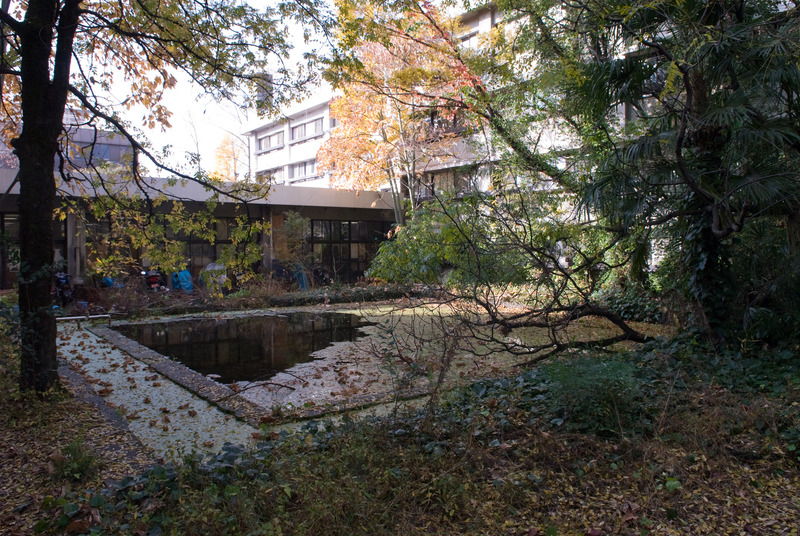 So this is the place where i will spent my day in Kyoto next year. thanks for the post, really helpful for me. I was a grad student at Kyoto University in the late 90s, and lived in a different dorm. I’d heard talk a lot about this place and even had one friend in our lab who lived here. So one day a friend and I went in to look around. We were amazed when we peeped into one of the bedrooms… it was pretty large with about three bunker beds and there were several students in there… and each one was watching his own TV facing a different direction as if they were alone in the room. Then one of them noticed us and came to chase us away. LOL! Over the last 10 years and several visits to Kyoto I had wondered, and even semi-correctly guessed, that this was a student squat (though I did think it was an abandoned high school turned in to a squat). Funny thing was that no one in any of the guest houses, even at the almost equally run down Uno House, would talk to me about it when I enquired… in hind sight kind of strange given a lot of the owners of the guest houses were of the age to remember or maybe even be part of the original student riots of the late 60’s and many of the staff were Kyoto university students. Maybe there’s a fair bit of stigmatism about it? 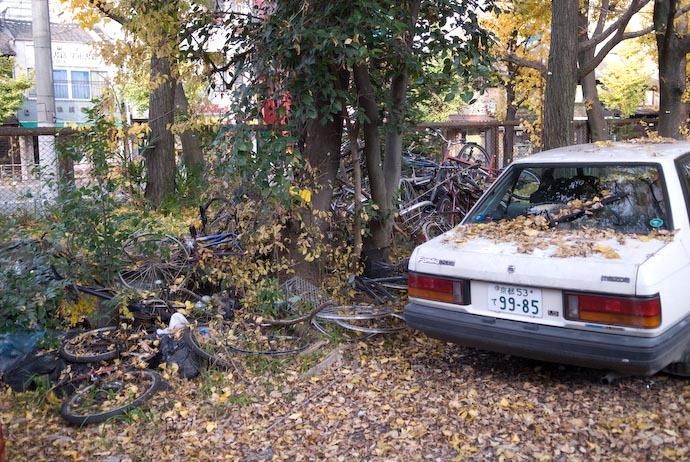 Personally I like it, it’s a riot of anarchy in the otherwise almost overly clean and sterile Kyoto street scene.